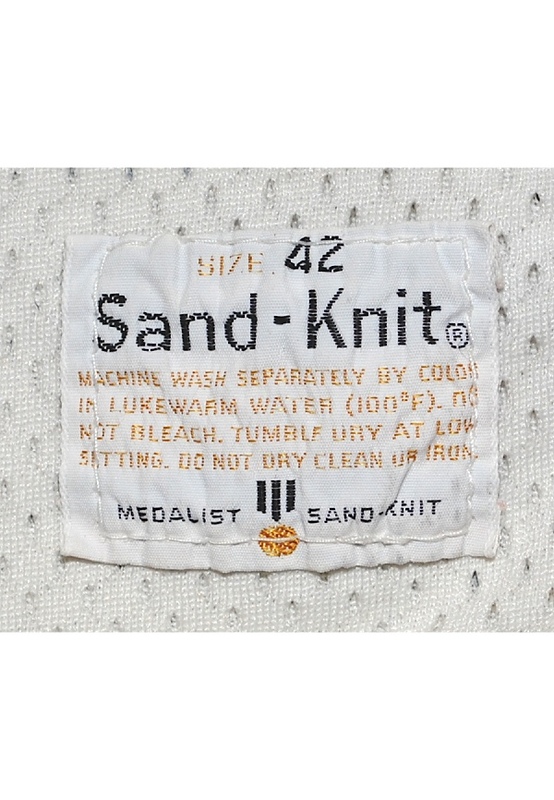 On the left front tail is the “Sand-Knit” manufacturer’s tag with wash instructions and jersey size “42”. 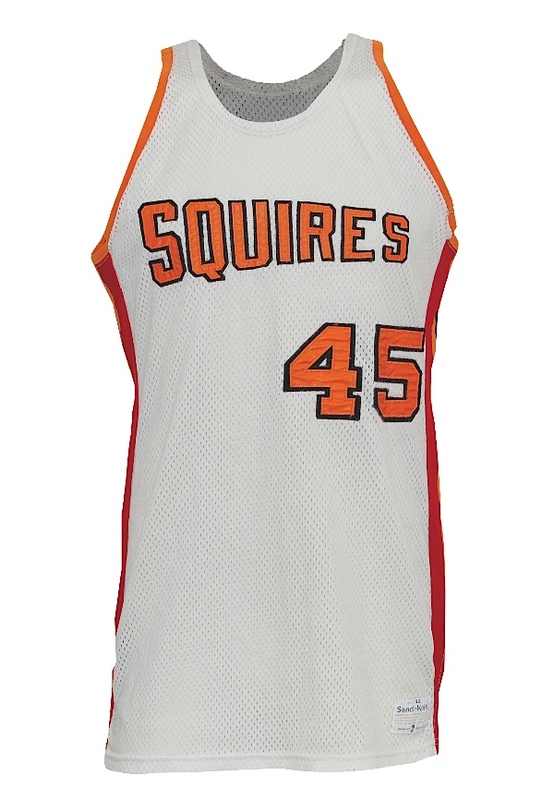 Across the front is “SQUIRES”. 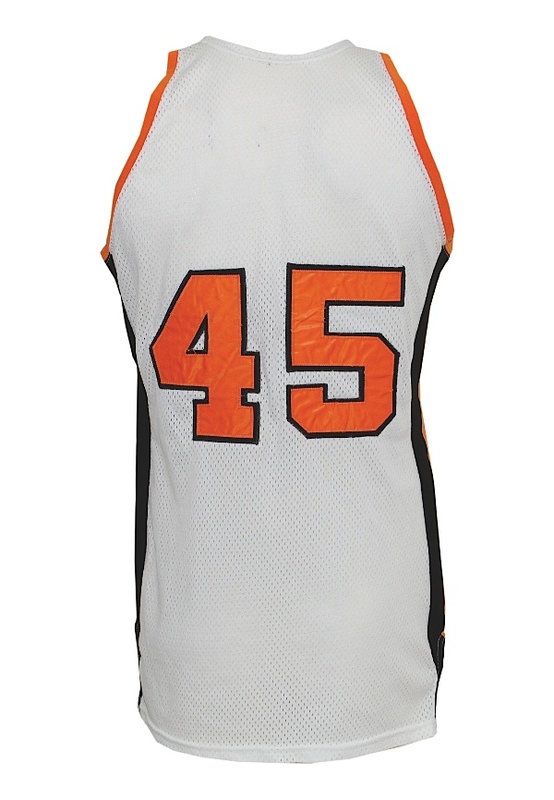 Player number “45” appears on both the front and back. 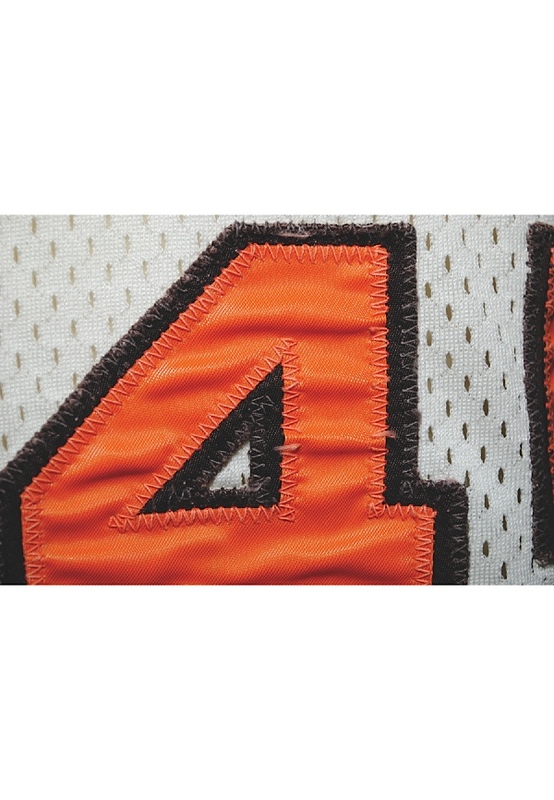 All these numbers and letters are done in orange on brown tackle twill. The jersey is properly tagged, was presented to us as game-used and in our opinion, shows outstanding use. Notes: Years of existence: 1970-71 through 1975-76. 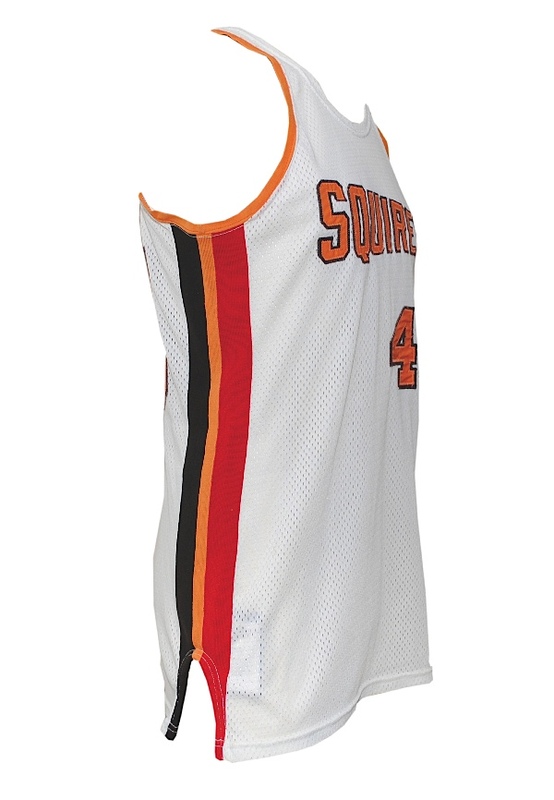 Colors: 1970-71 through 1973-74: Red, White & Blue, 1974-75: Orange, Seal Brown & White, 1975-76: Blue and Orange. Home Arenas: Norfolk Scope (10,745), Hampton Roads Coliseum (10,000), Richmond Coliseum (10,000), Richmond Arena (6,000), Roanoke Civic Center (10,010), Old Dominion University Fieldhouse (5,200). Coaches: 1970-71 through 1974-75: Al Bianchi, 1975-76: Al Bianchi, Bill Musselman, Mack Calvin, Willie Wise, Jack Ankerson, and Zelmo Beaty.